Supporting the current Resolution without seeking a specific retraction has effectively given Abbas the green light to pursue his racist policy. Secondly - there is no mention in the Resolution of the recognition of the right of the Jewish people to self- determination and independence in their own State - and for good reason - since President Abbas is not prepared to countenance a Jewish State alongside the State of Palestine. He has made this position manifestly clear on many occasions. Those countries around the world had their opportunity force Abbas to recognise the Jewish State before casting their votes - yet failed to do so. 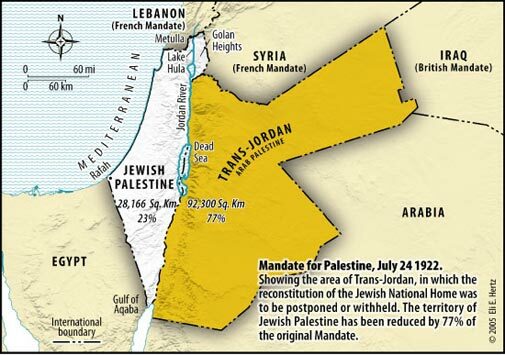 Thirdly - this infamous Resolution negates the decision of the very same General Assembly in 1947 recommending the creation of one Arab State and one Jewish State in Palestine. Indeed the refusal to recognize Israel as the Jewish State has been one of the principal stumbling blocks to the successful conclusion of negotiations under the Oslo Accords and the Bush Roadmap. The majority vote has - deliberately or unwittingly - given oxygen to those who continue to deny the right of the Jews to have their own State - 65 years after the United Nations had first recommended it. - is totally beyond comprehension. Abbas says he now wants to resume negotiations with Israel after his unilateral and ill-advised foray into the United Nations. What is there to negotiate about but the terms on which those 600000 Jews must leave the State of Palestine and their possible relocation to a State where the Jewish people has no right to independence and self determination. That is the political and diplomatic nightmare that 138 countries have foisted on the world. Hopefully those 55 nations that failed to swallow this poisoned pill will take steps to have the General Assembly negate this Resolution - as happened when a Resolution equating Zionism with Racism was rescinded. The sooner this latest Resolution endorsing policies of hatred against Jews is reversed - the better.